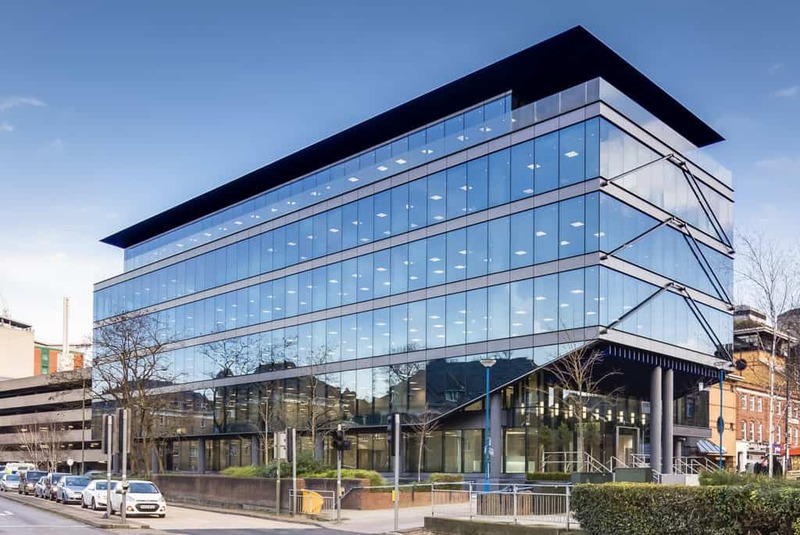 The newly-refurbished Victoria Gate office building in Woking town centre is now running on Thameswey’s district heat and power network, earning it some impressive sustainability credentials. Choosing this local supply for all its power, heating and cooling requirements has helped the prestige redevelopment achieve an EPC ‘B’ rating as well as ‘Excellent’ status in its BREEAM sustainability assessment. Victoria Gate has been transformed from a 1980s office block into a light and spacious contemporary building that is among Woking’s premier commercial properties. It is connected to Thameswey’s Woking town centre energy station, which supplies around 100 customers. Sean Rendall, head of operations at Thameswey Group, said: “The level of energy efficiency achieved at Victoria Gate is testament to the real benefit our localised power generation can deliver for customers. “Attaining such sustainability standards is a particular challenge with refurbishments of existing buildings compared to brand new projects where energy efficiency can be designed in at an early stage. “This demonstrates how CHP district energy is a great way of helping to get a building up to the highest level of energy efficiency, whether it’s a refurbishment or an entirely new build, across commercial and residential projects. Thameswey’s combined cooling, heating and power (CCHP) stations offer developers and landlords several benefits over energy supplied from the national grid. The significantly greater energy efficiency lowers utility costs which can be passed on to potential tenants, enabling a more competitive market offer. It also makes it easier to meet the energy and sustainability requirement at the planning stage of development and refurbishment projects. A lower carbon footprint also helps future-proof a building against rising carbon taxes. Thameswey has been a local energy supply specialist since 2001 and operates a second CHP energy centre in Milton Keynes. Victoria Gate offers over 64,000 sq ft of office space – an increase of 25 per cent – over five floors, with a roof terrace overlooking Horsell Common and a double height reception space. The redesign, for owners Aviva Investments, was by architects Scott Brownrigg who originally designed the building in 1985.